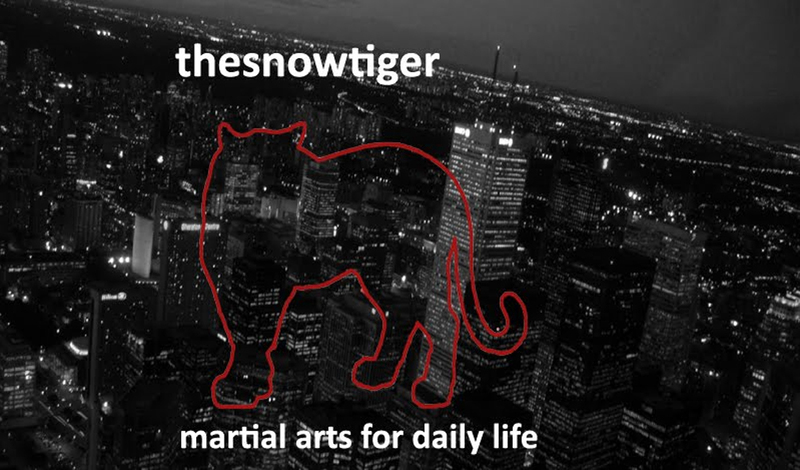 Over the course of the past two and a half decades, the martial arts community has experienced inroads by several martial-oriented disciplines, some genuinely rooted in traditional arts, others less so. In the early 1990’s Gracie Jiu-Jitsu, a form of the ancient Japanese art refined by Brazil’s Gracie family, dominated the burgeoning UFC competitions and became the defacto self-defense standard of many police forces and military units. Shortly after, the Tae Bo craze swept the nation with creator Billy Blanks motivating thousands of weight-conscious men and women through a series of instructional videos. Then, Mixed Martial Arts or MMA made its debut. With the exception of the Gracie family’s contribution, many of these trends in non-traditional martial arts and martial arts-related programs, have, or are likely to, reach their apex and begin to fade into the background along with the general public’s waning interest and a lack of appreciation for in-depth training. This leads us to a point of self-examination concerning the unconditional commitment required for excellence in the classical martial arts. On average, the Western mind is a questioning mind. It is also at times an impatient mind. We as a culture are not content with unexplained actions but frequently require detailed, verbal clarification for almost everything we do. Moreover, we place great emphasis on variety with a plethora of choices at our fingertips including the food we eat, the clothes we wear, and our wealth of leisure time activities. And then there is the matter of respect for contrasting worldviews coupled with a reverence for the traditions of the past. Being insulated between two vast oceans and surrounded by friendly nations sharing similar customs, many in America are frequently unaware regarding the life styles of others. Compound this with the fact that we as a people presently live in the midst of a technological revolution, the scope of which has never been seen before, and a picture begins to emerge portraying a society that is ambitious, inquisitive and sophisticated, while at the same time often cynical, anxious and mistrustful. Taken in sum, these attributes define our social character and on a less overt level, have a direct bearing on the martial arts we tend to popularize. 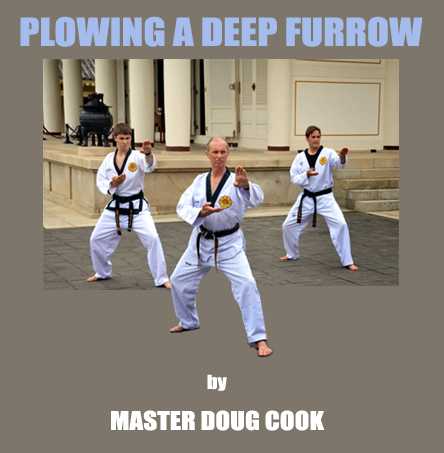 "The old masters used to keep a narrow field but plow a deep furrow. Present day students have a broad field but only plow a shallow furrow." This viewpoint is further amplified when one takes into account Funakoshi’s description of his nocturnal training sessions under Azato Sensei (1827-1906) in his autobiography Karate-Do: My Way of Life. 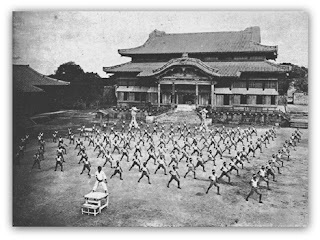 In it, he claims that countless repetitions of a single kata were required by Azato nightly, for months on end, almost to the point of humiliation. How then does this principle apply today given the general public’s expectations concerning modern martial arts like MMA that tend to sample many styles and cultures? Without a doubt, a sincere practice of the traditional martial arts demands unyielding discipline, perseverance, patience, and the acceptance of philosophical doctrines often foreign to the Western mind. Subsequently, given our modern approach to living overshadowed by a desire for diversity, we can see how these conditions might be compromised. Remaining steadfast to a single discipline such as taekwondo or karate, rather than becoming involved in the amalgam of styles evident in MMA, requires an uncommon commitment and focus. Clearly, the attraction of switching from a takedown found in Japanese judo to a kick featured in Thai kickboxing, may hold a fascination for many. But, at least in my estimation, we may be short changing ourselves by not interrogating a single, traditional art to its core, finding that there is much more to discover beneath the surface than initially meets the eye. 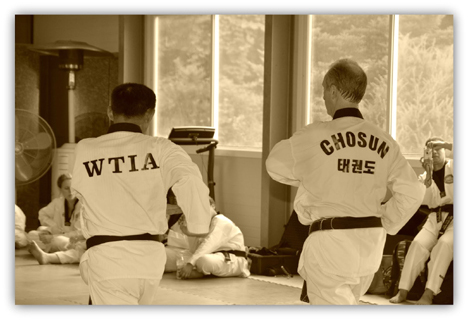 At our school, the Chosun Taekwondo Academy - a United States Taekwondo Association affiliate dojang under the direction of Grandmaster Richard Chun - we focus on more than the superficial aspects of our art, physically, intellectually and spiritually, by applying the principles of taekwondo in their fullness. For example, we go beyond the deceptively simple dynamics of a low block by investigating the purpose of the chamber, the initial contact, and the ultimate follow through of the technique thus revealing scenarios that make this basic skill more than a simple block. Simultaneously, we pay close attention to Ki flow and the targeting of specific pressure points. Unfortunately, a concentration on detailed technique such as this appears to be sadly lacking in the many martial styles and practitioners that leap from one discipline to another, clearly going wide rather than deep. In short, in order to gain pronounced proficiency in their chosen art, the student must immerse themselves in deep training to the point where they realize that everything they do is part of practice rather than accepting the erroneous perception that practice is a limited part of their life. 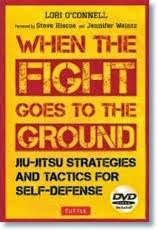 Choosing to study MMA or any other martial-related form of exercise in and of itself is not necessarily off the mark. 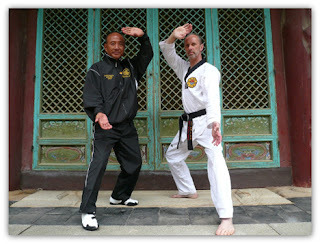 Rather, an attraction to these styles dovetails nicely with the general public’s expectations of the martial arts as seen on television and the cinema and given the hectic schedules entertained by most people today, they offer a convenient method of becoming involved with the martial arts in the first place. Yet, to the practitioner seeking a holistic understanding of a single martial art that includes embracing the culture from which it is drawn, plowing a deep furrow rather than one that is wide, should be the obvious course to take. Master Doug Cook, 6th dan black belt, is head instructor of the Chosun Taekwondo Academy located in Warwick, New York, a senior student of Grandmaster Richard Chun, and author of four best-selling books entitled: Taekwondo…Ancient Wisdom for the Modern Warrior, Traditional Taekwondo - Core Techniques, History and Philosophy, Taekwondo–A Path to Excellence, and Taekwondo Black Belt Poomsae: Original Koryo and Koryo, co-authored with Grandmaster Chun along with its companion DVD. 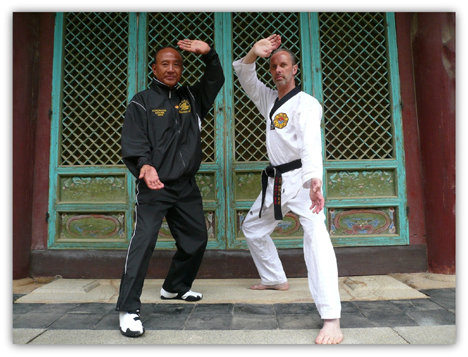 Master Cook can be reached for Korea tours, seminars, workshops or questions at www.chosuntkd.com or info@chosuntkd.com.